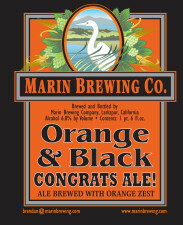 Larkspur, CA – Marin Brewing Company announces the release of the 2013 Orange & Black Congrats Ale on Saturday, March 30th, 2013. 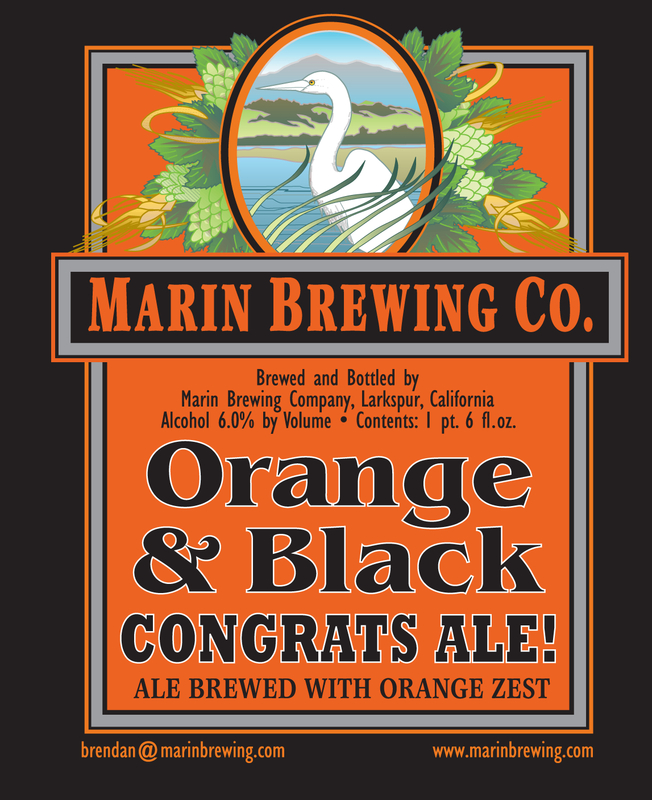 Conceived to celebrate our local baseball team and their two World Championships, Marin Brewing Company’s Orange & Black is a hoppy black ale. Tangerine zest is added to the conditioning tank to complement the citrusy hops added to the kettle. Orange & Black defies its appearance, with a smooth, refreshing, hoppy character, while avoiding the smoky and roasty flavors of many dark ales. * Marin Brewing Company will offer it’s fabulous tribute ale in 22oz bottles, kegs and growlers available at the pub and on draft in select locations around CA.